Thanks for signing up for my newsletter and joining the real food revolution. 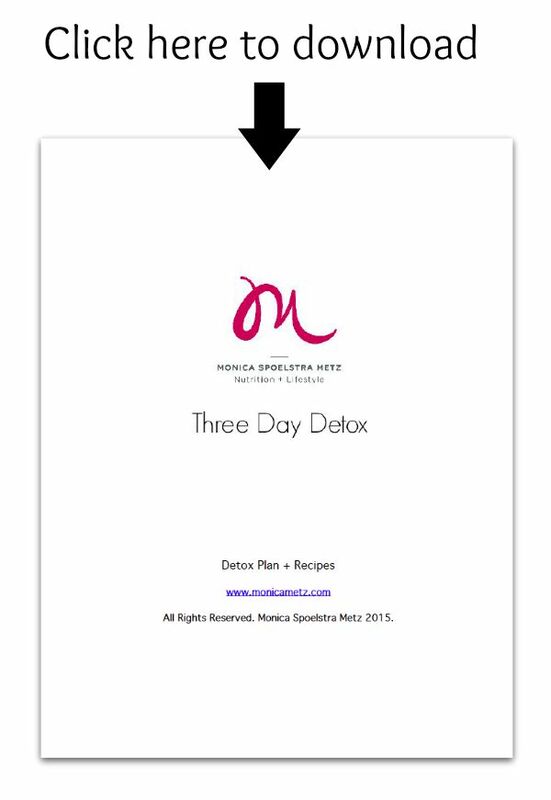 As a special thank-you gift, I’m inviting you to download a complimentary copy of my 3 Day Detox (link below). Who Needs the 3 Day Detox? Maybe you just got back from Vegas — or you’ve been back for a couple of weeks now, and you’re still feeling the effects. Or maybe you’ve been working so much you’ve been living on little sleep — and way too much caffeine and take-out. And now you’re feeling bloated and lethargic. The 3 Day Detox is designed to help you get back on track by eliminating processed foods and flooding your body with nutrients. This will help the body balance and heal itself. Everyone is different — and in varying stages of health and balance — so results vary. Why a 3 Day Detox? My 3 Day Detox is a perfect way to reboot after an indulgent weekend — or couple of weeks. A clean 3 days may be just what you need to fire up a clean living bender that extends beyond the initial detox. It’s also a great short-term plan for anyone who is curious about detoxes, but nervous about signing up for a longer program. And it’s a fantastic way to give my approach a test drive so you can determine if you’d like working with me. 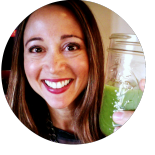 The 3 Day Detox, like my other programs, includes prep notes, a shopping list, a meal plan and recipes to help you get off processed foods and start thriving with real foods and healthy lifestyle practices. All you have to do to get started is click on the link below. It has everything you need: shopping list, meal plan and recipes. Stay tuned to my newsletter. I’ll email details about the next program soon!